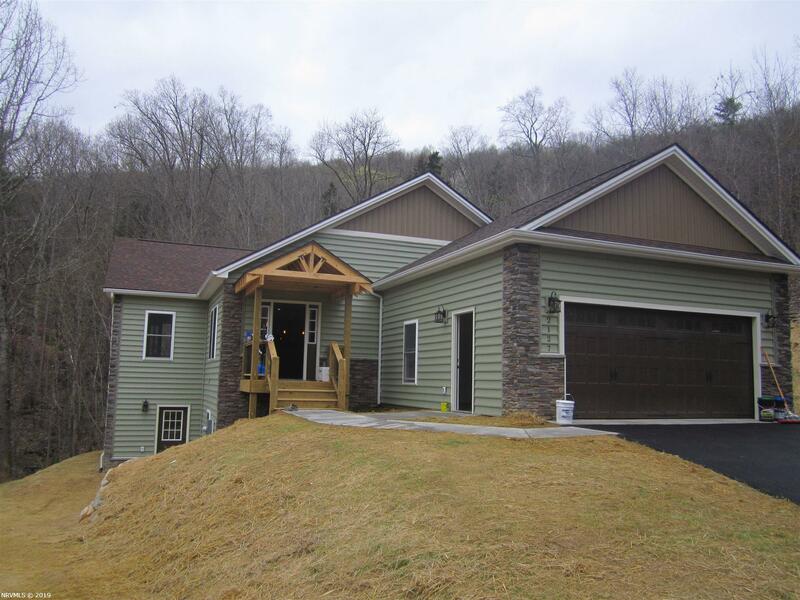 Beautiful New Construction Ranch Home in the Blacksburg School District!!! This Home is Under Roof and will have a completion date of this Summer. There is still time to pick your Vinyl color on the Outside and pick the flooring, Cabinets and Colors on the inside. This Home sits on a 3.011 ac. lot, sits Back in the woods and has a Beautiful Mountain Views. The Home is offers 2,763 Feet of Finished Space and has 1,811 Square Feet on the Main level with an Attached 24 x 22, 2 Car garage. The House offers an open Floor Plan with the Laundry and Master Bedroom on the Main Level. You also have a Second Bedroom, Living Room, Kitchen, Dining room and Den-3RD Bedroom on the Mail Level. Down Stairs offers another Family Room and a Bedroom and Full Bathroom. Directions: From Christiansburg, Take Cambria Street, Turn By Cambria Baptist Onto Ellett Rd. The House Will Be On The Left See Sign.